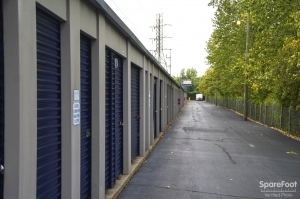 Storage and Moving company with over 24,000 square feet of space. Rent income alone is over $400,000. From the two locations the Moving & Storage Company, (who is an agent for major van lines), provides residential and commercial moves. Local moves to global relocation services, the company provides superior service and reliability. The company performs the following services: Free onsite surveys by professional estimators, fully detailed estimates, scheduling of packing, loading, tracking and delivery dates by computer, air-ride suspension trucks, flat-rate travel time on local moves, guaranteed arrival times on local moves, replacement value coverage available, online shipment tracking for interstate and international moves, unpacking, unwrapping, and setting up of household goods, removal of debris, and boxes and packing materials available for purchase. Owner operated, and the owners are desiring to retire.